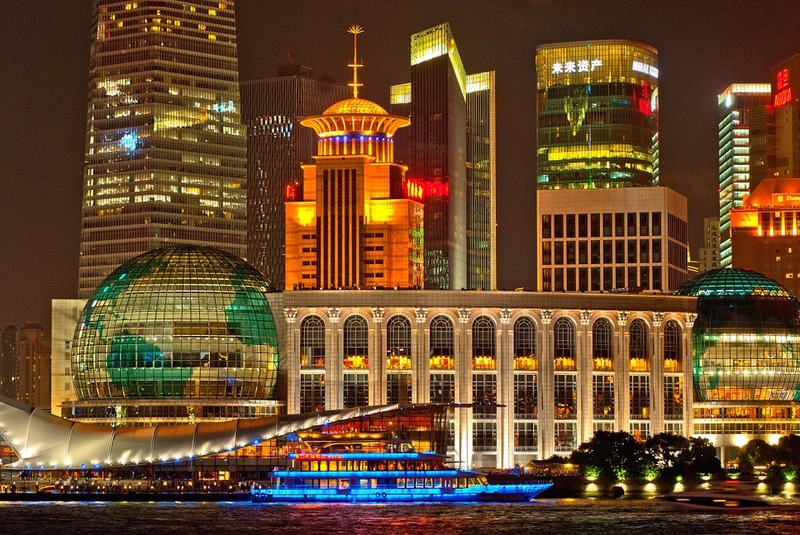 Do you know why Shanghai is called “The Greatest City of the Far East” or “Paris of the Orient”? Well, a century ago, a Japanese author wrote a book about Shanghai and named it?The Greatest City of the Far East?After that the name gained a lot of traction. Serving as the largest base of Chinese industrial technology, the important seaport and the Chinese largest commercial and financial center, Shanghai draws the attention of the whole world. Known as “Paris of the Orient”, Shanghai is a shopper's paradise. One of the musts for tourists is Nanjing Road. Also, Huaihai Road intrigues those with modern and fashionable tastes, while Sichuan North Road meets the demands of ordinary folks. In addition, Xu Jiahui Shopping Center, Yuyuan Shopping City, Jiali Sleepless City are thriving and popular destinations for those who are seeking to buy something. The Bund and Shanghai Disneyland are the most popular tourist spots in Shanghai. There’s also great cities right next to Shanghai; you can easily to travel to Suzhou, Wuxi, Jiaxing, Hangzhou, Huzhou or Changzhou. Suzhou is called “A Heaven on earth” and Wuxi is called “Taihu Pearl”. In Suzhou, you can visit the Suzhou garden which was built in 514 B.C. And during Ming and Qing dynasties, it was famous for the Suzhou gardens and still even today! In Hangzhou, the best well known spot is West Lake. I believe you will love these places where peace of life, the air is clear and the people are nice! As the saying goes, just as there is paradise in heaven, there are Suzhou and Hangzhou on earth. Well, since so many teachers want to work in Shanghai, so here I ‘ve got some different positions for all of you in a famous international school in Shanghai. There are not only two teaching positions, but also a management positions. This international kindergarten is one of the best and famous schools in Shanghai, they are looking for qualified teachers to start in August 2019. 4, TESOL certificate preferred, or teaching license. 5, Experience with the British National Curriculum(preferred) and Early Years Foundation Stage(essential) along with experience teaching Phonics and the Abacus Math Program. 6, Open to diversity and living within the Chinese culture and Shanghai. 7, Ideal candidate must be an Early Years or Primary professional who is career orientated and passionate about teaching and pedagogy. Bring a willingness to combine their western expertise with Chinese culture to present the best of both worlds for the students. If you are interested in this job,please send me your resume and recent photo to check.